17 Stücke voller Lebensfreude und Stille. Deuter, one of the first artists on the Kuckuck Schallplatten label, has thirteen titles on Kuckuck, as well as the musical score of a picture poem released on the MonteVideo label. They offer his unique uplifting melodies played on flute, guitar and synthesizer, blended with the sounds of nature. His creations incorporate a lightness of spirit, depth of vision, and a musical medley of East and West. Deuter himself is a product of both East and West. He was born in 1945, in a small village of post-war Germany. As a child, he learned flute and taught himself guitar and harmonica. As a young adult, he worked as a graphic designer and newspaper columnist in Munich, but the musical drive within him persisted. 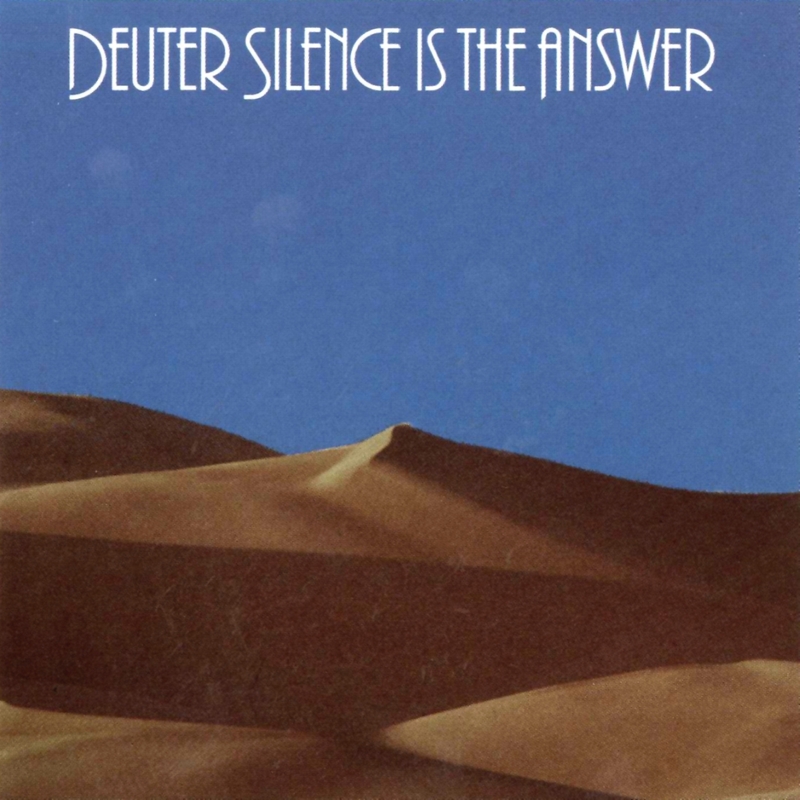 Eckart Rahn, a young record producer at that time, recognized Deuters talents, and in 1971 released Deuters first recording, D, on the then fledgling Kuckuck label. Deuter began to go into the mountains to record birds, water and wind to accompany his music. He was one of the first artists to do so and his deep relationship with nature persists to this day. He also began his spiritual search, spending much of his time at an ashram in Poona, India. Deuter was also one of the first artists to blend that Eastern influence into his music. He did that blending in such a gentle fashion that it never jarred Western ears, unaccustomed to Eastern rhythms and tonalities. Aum (11017-2) and Celebration (11040-2) were his first recordings to spring from this new direction in his life. His 1978 release, Haleakala (11042-2), was recorded in Poona. This release was a true portrait of Deuters spiritual quest as well as production talents. Using a four-track tape machine and a progression of sub-mixes down to two tracks, Deuter was able to blend his own performances of two flutes, two guitars, organ synthesizer, and bells percussion along with natural sounds. This sixteen-track requirement he accomplished in the middle of India on just four tracks with an amazing technical fidelity. Future releases only perfected the recording quality of Deuters magical music. In his own words, that music takes us to the "beautiful place inside where the listener can experience warmth, the playfulness, the love, the compassion, the gentleness. That is the music I want to make for others." And that is just what he has done. Cicada (11056-2) and Nirvana Road (11068-2) showcase Deuter's remarkable ability to produce music that is "more and more danceful, lighter, happier and more playful, full of heart and still have in it somewhere a vision of silence." Call of the Unknown (12076-2), contains a compilation of the most sublime pieces of Deuter's repertoire. Land of Enchantment (11081-2) is Deuter's biggest selling album. Together, these releases represent the first twenty-one years of Deuter's exceptional music, a spectrum of radiant outpourings and quiet meditations. 2 Call of the Unknown 4'59"
3 My Best Friend is a Buddha 5'19"
4 Aus Der Stille 1'50"
5 As Far As the ear Can Listen 4'29"
6 Song of the Heart 2'09"
10 I Take Rest 3'51"